Marvin was raised on a dairy farm in Pennsylvania. When he was 12 years old, his parents moved to a dairy farm in Wisconsin. On January 1st 2005, Marvin and his wife bought the family farm from his parents. As he milked his cows, Marvin often dreamed of having a sideline business in addition to farming. In 2006, he started rebuilding used Harvestore silos and servicing the unloaders. After 10 years of farming the sideline silo business grew into a full-time business, Marvin his wife Rachel and their 5 children made the decision to sell their cows and devote their efforts to their growing business and their customers. Today, Marvin and his employees enjoy serving their customers, and are always thinking of ways to improve their products and services. Darrell LaPaugh: Tri-State Silo Inc.
Darrell started building silos in 1973. He purchased Tri-State Silo in 1991. He builds new silos, teardown rebuilds, and installs farm equipment. He also does full line silo repair. Darrell is married and has two sons, Jeremiah and Andy. Darrell is happy with his choice of occupations, because he has made many friends with farmers and people in the silo industry. It is known in Michigan that Darrell has quite a reputation for winning awards at ice fishing events. Steve Lazorcik has worked in the silo industry since 1976 when he was hired by DeMuth Steel Products in Myerstown, PA. After 22 years working for Clean Burn, Inc., a DeMuth owned waste oil furnace manufacturing company, Steve returned to DeMuth to take over from Jim Pleitner as plant manager at the Mt Joy, PA plant. Steve is married and has 3 children. He enjoys spending family time at his in-laws’ farm, hunting, dirt car racing, snowmobiling and quiet time in Potter County, PA.
Paul Antonou has worked in the silo industry for over 25 years. 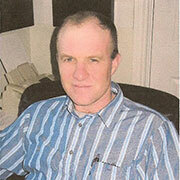 He was hired by Demuth Steel Products in April 1987 as the plant foreman at Schiller Park, IL. 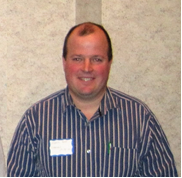 Paul’s knowledge and experience of the tower silo industry and farmstead automation equipment has been of great value to their customers. 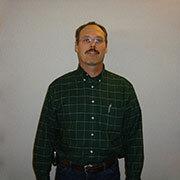 He is presently plant manager at DeMuth Steel Products at Rockford, IL. 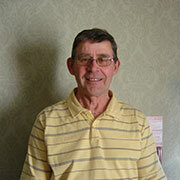 Paul has been active in the ISA for over 20 years. Paul and Kathleen have been married 40 years and have 2 daughters and 2 grandsons. He enjoys hiking, camping, canoeing, and horseback riding. 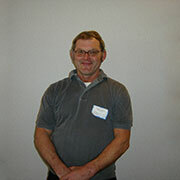 In 1984, Randy started working at Sollenberger Silos Corp., as parts and service manager, while still farming. After 3 years of doing both, he went full time with Sollenberger Silos in 1987 as parts and service manager. In 2005, he purchased the parts and service division, renaming it Synergy Ag Service, LLC. In 2007, he purchased the poured silo division, renaming it Sollenberger Silos, LLC. Randy and wife Lois have 3 children and 11 grandchildren…..so far. All of them come home once a week for food and table games. 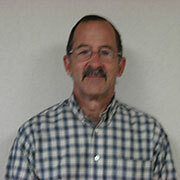 Randy has taught Sunday School and has been involved with the youth for over 35 years. Randy’s hobbies include playing squash, basketball, softball, ping pong and golf. 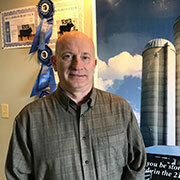 Bruce Johnson: Wisconsin Silos, Inc.
Bruce started in the silo industry in 1966, while working his way through college. He graduated from Augsburg College with degrees in physics and math. After college he continued working with a silo company until purchasing Wisconsin Ribstone in 1984. 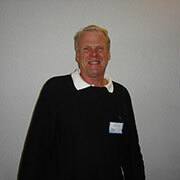 In 2003 he purchased Shefchik Poured Silos, giving him the ability to build poured and stave silos. Bruce also sells feed handling equipment, does silo repair and insurance consulting. Bruce has been active in the ISA for over 37 years. He has been married to Mary Ann for 48 years and has 7 children. His hobbies include hunting, fishing, and golf. Russ Koch: Russ Koch Construction Ltd.
Russ began working on silos in 1966 as a summer job. He enjoyed the work and travel, and he still does. Since 1983, he has worked on the crew with one or two men. He moved stave silos, repaired silos with gunite, converted open top silos to sealed silos, and converted sealed silos to open top. Russ’ son, Tim, has worked with him since 2000. Tim continues to work, even when Russ and his wife, Hazel, are at the cottage in eastern Ontario. Besides Tim, the youngest child, Russ and Hazel have four daughters. They have all had silo building experience. Hazel and Russ have been married for 48 years. Elmer Gingrich: E.M.G. Silo Inc.
Elmer was raised on a farm in Wallenstein, Ontario. He worked on a farm for a few years after completing school. In 1992, Elmer started working for a local silo builder and worked there for three years. In 1995, he went into a partnership for 3 years. In 1998, he started his own silo company. Elmer is married and has 4 children. He enjoys family time, hiking, biking and fishing.